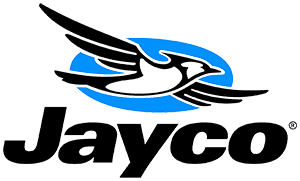 What is a Jayco MELBOURNE? Melbourne, Jayco RV: The Melbourne Class C motorhome is built on a Mercedes 3500 chassis and powered by a 188-horsepower, V6 turbo diesel engine to keep you going. 2018 Jayco Melbourne 24L, Jayco Melbourne 24L class C diesel motorhome highlights: 14' Power Awning Large U-Shaped Dinette Full Wall Slide Rear Corner Bath 8 Cu. Ft. Refrigerator Overhead Bunk w/300 lb. Capacity Hit the road and enjoy the freedom to come and go as you please knowing you have everything you need with you! This Melbourne class C diesel coach offers you all the comforts needed for travel. On the inside, you will enjoy the added space thanks to a large full wall slide out along the driver's side. A spacious u-shaped dinette assures that everyone can enjoy comfortable seating for a meal or even games. The cab-over bunk will be a favorite spot for the kiddos to play, nap, or just hang out on a rainy day inside. And, with a full bath on-board, plus the kitchen amenities, you will surely enjoy those longer trips knowing you can all keep fresh and clean and prepare the kind of food that you love most! At night, take pleasure in a little outdoor fun under the 14' awning that features LED lighting so you can stay out and enjoy the twinkling stars and sounds of night. With any Melbourne class C coach all your travels will seem a whole lot easier. The interior is homey and inviting and provides all the space you need to enjoy time inside when the weather doesn't cooperate with your outdoor plans. You will appreciate the LED lighting throughout, and comfortable seating with the ability of the captain's chairs to swivel to the back. The Melbourne bath embraces residential style and includes laminate countertops, a combo tub/shower, and even a skylight to bring in more natural lighting. You will find optimal storage both inside and out with overhead cabinets throughout, base cabinets in the kitchen as well as under dinette seating, and in mesh pockets for books and magazines. On the outside, enjoy a spacious pass-through storage compartment for all of your travel gear, an outdoor shower to rinse off your feet or the family pet before heading inside, and an LED lit electric awning for easy outdoor entertainment at night, plus so much more! 2019 Jayco Melbourne 24L, Not Actual Photos of Stock #41301. The 2018 Jayco Melbourne 24L is a Class C with a full length slide out and everything you could need to travel the countryside. Based on the Mercedes Sprinter chassis the Melbourne 24L is a beautiful blend of economy and luxury thanks to the features provided by Jayco. Contained within the slide is a full U-dinette, pantry, closet, as well as the queen bed in the rear of the unit. 2019 JAYCO MELBOURNE 24L, Not Actual Photos of Stock #50171. The Jayco Melbourne 24L is a Class C with a full length slide out and everything you could need to travel the countryside. Based on the Mercedes Sprinter chassis the Melbourne 24L is a beautiful blend of economy and luxury thanks to the features provided by Jayco. Contained within the slide is a full U-dinette, pantry, closet, as well as the queen bed in the rear of the unit. 2019 Jayco Melbourne 24L, Mercedes-Benz 188hp Turbo Diesel, Full Body Paint, Slideout, Air, Power Awning, Power Stabilizer Jacks, Rearview Camera, 3.6KW LP Generator, Over-Cab Bunk, U-Shaped Dinette, TV, CD/DVD, Sound System, Microwave/Convection Oven, Cook-top, Refrigerator, Furnace, 2 Year WarrantyOptions included in this price: Chiffon Interior Full Body Paint - Pinehurst Customer Value Package: - Backup Camera w/ Monitor - Electric Awning w/ LED Lights - Frameless Windows - Infotainment System - Keyless Cab Entry - Remote Control + Heated Mirror - Stabilizer Jacks - Swivel Driver and Passenger Seats - Tank Heating Pads Gross Vehicle Weight Rating (lbs) 11030 Gross Combined Weight Rating (lbs) 15250 Exterior Length 25&apos;2" Exterior Width 96" Exterior Height with A/C 11&apos;5" Interior Height 83" Wheel Base 170" Furnace, Auto-ignition (BTU output) 30M Fresh Water Capacity (gals) 43 Water Heater 6 Gray Waste Water Capacity (gals) 31 Black Waste Water Capacity (gals) 31 Fuel Tank Capacity (gals) 26.4 Sleeping Capacity 5-6 Exterior Storage (cu. ft.) 17Town and Country RVs Up-Front Pricing for Camper Purchases: Other dealers charge expensive Prep Fees, Destination Charges, Propane Fill Costs and Demonstration Fees - WE DO NOT! Give us a shot, a quick email or phone call could save you thousands of dollars! 2019 JAYCO MELBOURNE 24L, Not Actual Photos of Stock #41217. The 2018 Jayco Melbourne 24L is a Class C with a full length slide out and everything you could need to travel the countryside. Based on the Mercedes Sprinter chassis the Melbourne 24L is a beautiful blend of economy and luxury thanks to the features provided by Jayco. Contained within the slide is a full U-dinette, pantry, closet, as well as the queen bed in the rear of the unit.  2019 Jayco Melbourne 24L, Mercedes-Benz 188hp Turbo Diesel, Full Body Paint, Slideout, Air, Power Awning, Power Stabilizer Jacks, Rearview Camera, 3.6KW LP Generator, Over-Cab Bunk, U-Shaped Dinette, TV, CD/DVD, Sound System, Microwave/Convection Oven, Cook-top, Refrigerator, Furnace, 2 Year WarrantyOptions included in this price: Chiffon Interior Full Body Paint - Waterville Customer Value Package: - Backup Camera w/ Monitor - Electric Awning w/ LED Lights - Frameless Windows - Infotainment System - Keyless Cab Entry - Remote Control + Heated Mirror - Stabilizer Jacks - Swivel Driver and Passenger Seats - Tank Heating Pads Gross Vehicle Weight Rating (lbs) 11030 Gross Combined Weight Rating (lbs) 15250 Exterior Length 25&apos;2" Exterior Width 96" Exterior Height with A/C 11&apos;5" Interior Height 83" Wheel Base 170" Furnace, Auto-ignition (BTU output) 30M Fresh Water Capacity (gals) 43 Water Heater 6 Gray Waste Water Capacity (gals) 31 Black Waste Water Capacity (gals) 31 Fuel Tank Capacity (gals) 26.4 Sleeping Capacity 5-6 Exterior Storage (cu. ft.) 17Town and Country RVs Up-Front Pricing for Camper Purchases: Other dealers charge expensive Prep Fees, Destination Charges, Propane Fill Costs and Demonstration Fees - WE DO NOT! Give us a shot, a quick email or phone call could save you thousands of dollars! 2019 JAYCO MELBOURNE 24L, Not Actual Photos of Stock #41298. The Jayco Melbourne 24L is a Class C with a full length slide out and everything you could need to travel the countryside. Based on the Mercedes Sprinter chassis the Melbourne 24L is a beautiful blend of economy and luxury thanks to the features provided by Jayco. Contained within the slide is a full U-dinette, pantry, closet, as well as the queen bed in the rear of the unit. 2019 Jayco Melbourne 24L, Call for details.